MaxBlaster ozone generators use an amplified corona discharge process to convert oxygen (O2) into high concentrations of ozone gas (O3). When applied properly in what is widely referred to as ‘shock ozone treatment’ high concentrations of ozone gas may permanently oxidize volatile organic compounds at the molecular level to neutralize many odors, mold scent, and more. When the MaxBlaster is turned on you should detect an obvious flow of oxygen being pulled into one end of the machine (stainless steel filter end) and exhausted out the opposite end as ozone (plastic finger guard end). The fan is located immediately inside the inlet end of the machine and it helps cool the transformer during operation. It is important to ensure it is working properly before each use. If the fan is not working properly you will not detect any airflow coming in or out of the machine and the top of the unit may become warm as the transformer inside the machine is not being cooled. Ozone has a distinct scent and when the MaxBlaster is turned on you should immediately recognize the strong presence of ozone gas exiting from the outlet end of the machine. Once you become familiar with this scent it will be easy to detect whether or not your MaxBlaster is functioning properly. If the machine is not working properly you will not detect the ozone scent and instead you will only detect oxygen passing through the chamber. Note: You can quickly hold your nose up to the machine to smell ozone however prolonged exposure to too much ozone gas may quickly become irritating. Quickly test for the scent of ozone then to turn off the machine until you are ready to begin the full ozone application cycle. The success of your treatment will in large part depend on your ability to understand the basic science of ozone generators and how to follow the proper application protocol for your unique project. Please follow these instructions carefully. Ozone generators are not magic boxes that take the place of normal cleaning efforts. The only way to stop an odor permanently is if you remove the source of the odor itself. In most cases ozone generators are just one of the final steps of the overall cleaning process. For example a musty basement will only be permanently free of mold-scent if the moisture that is causing the odor is effectively eliminated. All odors are caused by different sources and in each project it is important to stop the source of the odor before using the ozone generator if you want to permanently remediate the problem. This may include removing debris & garbage, cleaning & scrubbing walls, floors, windows, countertops, and all surface areas within the space. For serious problems such as water damage stopping the source may require extensive effort such as removing damaged drywall and carpet. 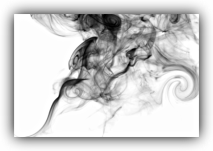 Consult with a professional if the source of your odor is beyond your capability to eliminate it. What if you can’t stop the source of the problem? If you cannot permanently remove the source of your odor it will be necessary to continually retreat the space as new odors develop. Our suggestion is to eliminate the source to the best of your abilities and then follow our instructions on ‘Blast & Maintenance Cycles’ (B9). After your initial ‘blast’ type treatment you can scale back the ‘maintenance’ treatments to shorter run times as you begin to notice odors redeveloping. See section below ‘Blast & Maintenance Cycles’ for more information. It is a common rule in ozone applications that the lower the humidity the more potent the ozone will perform. In fact if the humidity levels are very high (exceeding 75%) it is highly recommended that you take steps to reduce the humidity before applying the ozone. Dehumidifiers are useful tools in many projects and can greatly impact the success of your treatment. 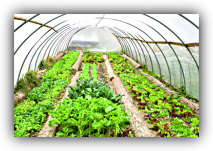 Excess humidity can reduce the potency of the ozone and can affect the longevity of the plates within the machine. Be sure to place your machine in a manner so that it can breathe fresh, dry oxygen for best results. If the space is too humid we strongly recommend using a dehumidifier prior to applying the ozone gas. 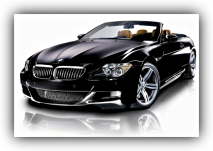 If you are treating an automobile, boat, individual items, or clothes it is mandatory that the all the surface material be dry prior to applying the ozone treatment. See section (B3) ‘Allow a Clean Oxygen Feed Source’ and (B4) ‘Place Machine in the Proper Location’. Ozone will only react with surface level odors and will not penetrate through walls, doors, or fabrics. So it is important to expose all surface areas of that which you wish to treat so that ozone can reach it and effectively neutralize odors. This includes opening cabinets & closets, lifting bed mattresses, separating clothes, and placing all individual items in an open manner with space in between each surface area. 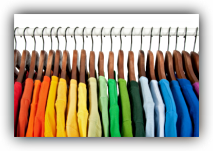 Make sure that all items are dry and spaced out as opposed to stacked on top of one another. It is very important to remember that ozone generators need oxygen to breathe in order to convert into ozone gas. Unlike air filters that trap dirty molecules with a filter, ozone generators proactively introduce new ozone gas into the treatment area to react with odor molecules the air. The higher the quality of oxygen entering the machine the higher the quality of ozone will be created. This includes ensuring that the machine does not breathe humid air during treatment, nor should it breathe off gassing from any other chemical cleaners, paints, or dirty air that can affect the dielectric properties of the plates within the unit. Make sure that there is a supply of clean, dry oxygen entering the machine. In larges spaces, such as homes, it is highly recommended to keep a couple of windows open slightly in the treatment area to allow some oxygen to enter the space for the ozone machine to breathe. Do not keep the windows open too much however as the ozone gas may begin to escape faster than it is being produced. We recommend leaving enough windows open to allow an equal amount of oxygen to enter the space as is being breathed by the ozone machine itself. This usually means keeping a few windows open only 1”-3”. And ideal manner in which to place your machine is near a window that is open about 1”. Allow the inlet end of the machine to breathe the air from the slightly open window (only if it is not raining outside) and push the ozone into the treatments space. Place your ozone generator near the central part of the treatment area to make it easier for the ozone gas to spread equally across the space. It is highly recommended to use some fans to help distribute the ozone gas more evenly across larger areas. For smaller spaces this rule is less important as it is easier to evenly distribute the ozone gas across confined spaces (ex: cars) as opposed to larger ones (ex: houses). 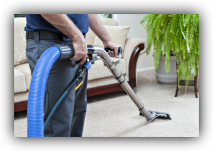 For smaller spaces, such as cars and closets, it is highly recommended to use the hose attachment accessory so that the machine can breathe fresh oxygen while pushing ozone into the treatment space via the hose. Remember that ozone generators need clean, dry, fresh oxygen in order to convert into ozone gas. One way to ensure that the machine is breathing fresh oxygen is to position your ozone generator so that the inlet end (the end with the stainless steel mesh filter) is near a window that is open slightly. In this scenario make sure that it is not too humid outside, or raining, so the machine does not breathe too much humid air. It is an ideal scenario to have your ozone machine placed about 12” from a window that is open 1”-3” and to also have a box fan (household fan) next to the ozone machine facing in the same air flow direction so that the ozone is pushed more forcefully throughout the treatment space. See (B6) ‘Maximize Ozone Distribution’. Given that ozone gas is heavier than oxygen and tends to fall during application it is recommended to place your ozone generator higher in the room where there is a greater concentration of oxygen to breathe during the treatment. This does not mean that ozone will not travel upwards. If you run your MaxBlaster in the basement you will still eventually detect ozone many floors upstairs. However as a general rule to help maximize efficiency it is recommended to take measures to place your machine higher in the room during treatment. At the very least we recommend placing your machine at countertop level as opposed to near the floor. MaxBlaster Ozone Generators are high-voltage electric devices and should be placed with extreme care during operation. Take preventative measures when placing your ozone generator so that it cannot accidentally fall or be operated by anyone else except you. Make sure the surface that they are placed upon is not flammable (not on fabric or cloth). Make sure kids cannot access the machine. And make sure the machine cannot be tampered with or that any loose debris cannot enter the chamber during operation. 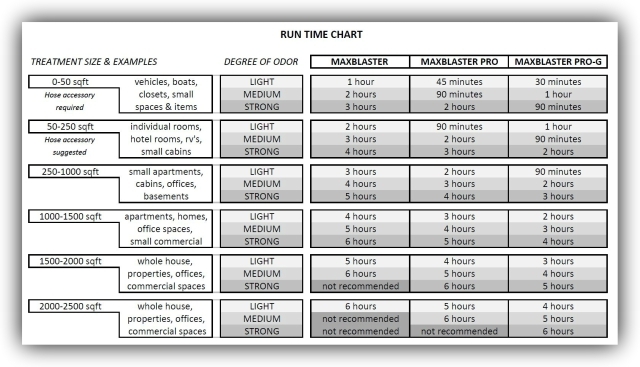 Please see the addendum to this manual that gives our recommended run times based on several factors including the degree of odor, size of the treatment space, and model type for your specific MaxBlaster ozone generator. All projects are unique and there is no way we can accurately predict the exact run time to accomplish your specific goal. Much of your success will be determined by your ability to analyze the results after each cycle then adjust your protocol throughout the entire project. Running your ozone machine for too long at one time may cause adverse results. For example just because we recommend running your MaxBlaster for 8 hours at one time for good results in a specific project does not mean that running it for 80 hours at one time will yield great results. In fact just the opposite may become true. If you run the high-output ozone machine for too long you may create an adverse reaction leading to a new odor problem all together. For this reason we demand that our machines not exceed 8 hours of continuous run time for any project. See (B8) ‘Rinse & Repeat Pattern’. picked up and spread more rapidly throughout the space. This also helps to minimize the amount of ozone being immediately recycled by the machine and in some cases can actually pull more oxygen through the machine thus creating more ozone. If there is a central air system in the space that you are treating we recommend leaving it on and setting the temperature between 68-72 degrees. 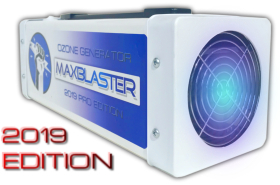 You can place your MaxBlaster near the cold air return so that the ozone gas gets pulled into the system and spread evenly throughout the entire room/home. Once you have completed the ozone application cycle it is mandatory to air the treatment space back to healthy ozone/oxygen levels before re-occupying the area. Prolonged exposure to high amounts of ozone can irritate your lungs, eyes, throat or more. So be prepared to enter the space quickly to open windows and doors to help flood fresh air back into the space. If you or anyone living in the space is sensitive to respiratory irritation please use extra caution. How long does it take to air out the space? It can take as little as 30 minutes and up to several hours to air the space out depending on how many doors and windows you can open to flood the area with fresh oxygen. 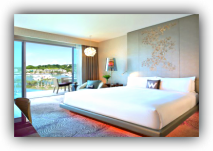 If there are ample windows to allow good air distribution along with fans to help speed up the process it may only take 30 minutes to an hour to air the space back to acceptable breathing levels. However if there are no windows to open and minimal air distribution it can take 12 hours or more. 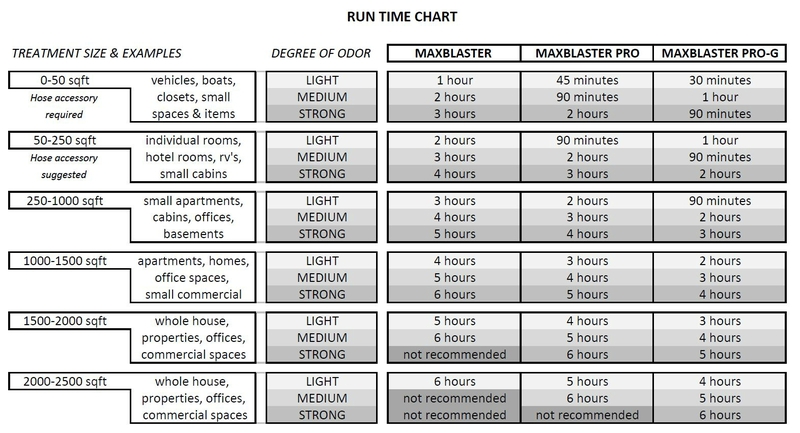 If you used a timer to automatically turn your MaxBlaster off and you cannot be present to open windows or doors please allow approximately three hours for every one hour(s) of ozone application to air the space out. 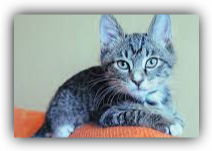 How will I know if it is safe to reoccupy the space? In most cases people simply rely on their own senses to tell them whether or not it is ok to reoccupy the space. If you are breathing too much ozone it is usually obvious to notice discomfort to your senses soon after entering the space. Ozone has a distinct scent. In low levels it smells pleasant and fresh. But if there is too much ozone gas it is usually apparent to someone with normal senses. If you are unsure whether or not it is ok to re-enter please contact us for further guidance. Is there any way to monitor the exact ozone levels to determine if it is safe? Yes. If you have a sensitive respiratory system or if you simply want to be 100% certain that it is safe to reoccupy the space there are ozone monitors and detectors that you can purchase to gauge the exact ozone level compared to the EPA safe breathing standard. Please contact us for more information and recommendations on the proper monitor to purchase to determine exact ozone levels. Just like washing clothes in a washing machine and leaving them on the ‘wash’ cycle for too long eventually becomes inefficient and in some cases potentially damaging the same philosophy holds true for high output ozone generators. Instead of leaving your MaxBlaster running for too long where it may eventually start to simply recycle more ozone as opposed to breathing fresh oxygen we strongly recommend a Rinse & Repeat pattern. Follow our recommendations for the amount of time you should run your machine (see ‘Run Time Chart’) and assess your results after each ozone cycle. Do not allow your machine to run continuously for more than 8 hours and especially do not forget that you have it running and allow it to operate for days on end. This will inevitably lead to adverse results for both the treatment space and the machine. Just like it would be better to wash very dirty clothes multiple times over multiple wash/rinse cycles the same is true for shock ozone treatments. Run your machine for our recommended time and assess your results after airing out the space for at least several hours. Then repeat only if necessary. Not all odor problems can be permanently solved with our ozone generators especially if the source of the odor itself cannot be eliminated. 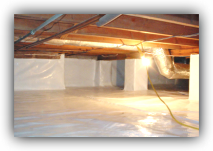 For example, a basement with continuous moisture problems will always have new odors develop over time. For these situations we recommend Blast & Maintenance Cycles. This means hit the space hard with ozone up front then reduce the treatments down to lesser, infrequent cycles over time to keep new odors from developing. Using the basement example here is what we recommend: Complete several shock (Blast) cycles in the early stages of your treatment. This may mean 2-4 cycles of 8-hour ozone treatments within the first few days of your treatment. Then, after completing your heavy-duty ‘Blast’ cycles you can reduce the treatments down to 1-2 cycles of 1-2 hour ozone treatments over time as you notice new odors developing. In some cases the ‘Maintenance’ cycles can only require as little as 15 minute treatment times. Each project is unique and it is impossible to list each recommendation. If you would like a custom recommendation based on your specific project and odor type please contact us for more information. After using your MaxBlaster it is important to store it in the proper manner to prolong its lifespan and ensure long term value. Blow air into the outlet end of machine after each use. During operation air is passed across the plates in the machine and organic compounds may settle on the internal plates. To prevent these compounds from settling on the plates and potentially affecting the dielectric property of the plates upon your next use we recommend blowing air into the outlet end of the machine after each use. Simply face the outlet end of the machine (the end with the plastic finger guard where ozone comes out) and blow into it to help remove any debris and/or particles from the plates that are located near the end of the machine. If you have easy access to a fan or air compressor ideally you would blow it through the end of the machine however a few simple blows with your mouth will usually suffice. Store your MaxBlaster indoors in a temperature controlled environment that is not exposed to excess humidity or temperature fluctuations throughout the storage period. This means do not store it in a cold garage or in a damp basement. Keep it indoors in a closet, office, or any air-conditioned environment. There are four ways to determine if your MaxBlaster is working properly: Airflow, Sound, Scent, and Sight. When working properly you should notice a definitive air flow being pulled into the machine on the stainless steel filter end and exhausting out of the unit on the finger guard end. The unit makes a distinct ‘buzzing’ sound similar to a bug zapper when functioning properly. Ozone has a unique scent and if you smell the unit on the outlet and you will notice the strong presence of ozone gas emitting from the machine. Finally if you look into the machine (in a dark room) you can actually see purple glowing lines coming from directly inside the outlet end of the machine in between the plates of the generator pack. 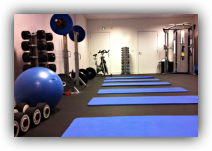 For more information see (B1) ‘Test Machines Prior to Each Use. If the machine turns on and you feel air passing through the machine yet you do not detect the buzzing sound, unique ozone scent, or the purple glowing lines from the plates within the machine there is a high probability that the generator pack (set of plates) has arced (failed) within the machine. If you notice one distinct spark coming from one of the plates and no purple glowing lines this is further confirmation that the generator pack has stopped producing ozone. There is no cause for alarm if you notice a spark coming from one of the plates however the machine should be immediately shut down for service. There are two ways to replace the generator pack within your MaxBlaster. One, you may contact us and send us your machine to be serviced in our in-shop service department. To have your machine serviced by us please visit our website and find the ‘Service Department’ page. 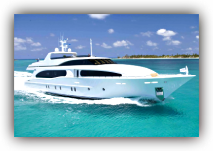 On that page you may fill out the online service form to begin the comprehensive service process. Or contact us by phone or email. Another way to replace the generator pack is to replace it yourself by purchasing a new generator pack online through our website or by contacting us direct via phone or email. Instructions may be found on our website about how to replace the generator pack yourself. It requires minor wiring and handy-man skills however you should only replace the generator pack yourself if you feel comfortable doing this work on your own. We offer a trade in credit for all used generator packs that can make the price of a new generator pack more affordable. To replace the generator pack yourself visit our website for more information or contact us today. If the machine does not turn on at all it may simply be a loose wire inside the machine that has become disconnected. Please contact us if your machine does not turn on at all and/or if you do not notice any power to your machine when it is turned on. Often there is an easy solution to this issue that we can explain to you over the phone how to repair on your own. If you do not feel comfortable doing any self-service to your MaxBlaster you may send your machine to our comprehensive service department. Please contact us for more information on how to send your machine to our service department. For all other service issues including broken end pieces, ripped cords, and broken handles please contact us to discuss the most efficient solution to your exact service needs. DO NOT send us your MaxBlaster prior to contacting us. With thousands of customers worldwide it is mandatory that you contact us prior to sending us your machine to avoid delays or confusion. After contacting us we will instruct you how and where to send your machine. Once we instruct you how to send us your machine we will ask you to include a copy of any email correspondence, purchase receipts, shipping address, or payment information inside the box when you send it to us. You may ship your machine via FedEx, USPS, or UPS. It is not necessary to over-protect your MaxBlaster and we specifically ask that you avoid using foam ‘peanuts’ to protect the machine. Instead simply wrap your MaxBlaster in newspaper, cardboard, or other non-messy materials. In order to maintain the warranty guarantee for your MaxBlaster you are required to follow the proper use guidelines as described in this manual. This includes proper set up, operation, run time, and storage recommendations. If we determine that you have misused your MaxBlaster against our recommendations the warranty guarantee may be reduced or cancelled all together. Please follow the guidelines in this manual closely. Every component including the generator pack, transformer, fan, and all internal and external components come with an unlimited 6-month warranty. This means that for any reason your MaxBlaster stops working properly (assuming all proper use guidelines have been met) we will repair or replace your machine at no cost to you other than the return shipping charges to send it back to us. If for any reason your MaxBlaster stops working properly within the first six months of ownership please contact us to begin the warranty repair/replacement procedure. All components, internal and external, other than the generator pack (set of plates within the machine) are warrantied for five full years. If for any reason your MaxBlaster stops working properly within the first five years of ownership please contact us to begin the repair/replacement/service procedure. Use only in Unoccupied Spaces: High-Output ozone generator intended for use in Unoccupied Spaces Only. Exceeds EPA standards. Non-Medical Device: We do not promise to cure or prevent any diseases with use of our machines. 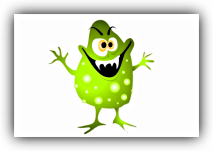 Mold: Ozone Generators may neutralize mold however we do not guarantee elimination of all mold from your treatment space. Consult with a Professional: For health related projects please consult with a medical or certified professional prior to use. Specifications: The ratings for our machines are subjective in comparison with other similar ozone machines on the market. High-Voltage Electric Device: Use extreme caution when operating our machines especially when you are not present in room. Liability: Use at your own risk. We are not responsible for any damages as a result of use or misuse of our machines. Contact Us: If you have any questions or concerns regarding this manual or our machines contact us prior to use. 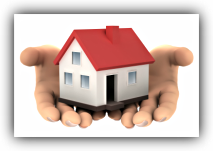 Contact us by phone or email by visiting the contact page of our website.